I have studied Art & Design at the Surrey Institute of Art & Design University College. I am otherwise self-taught. 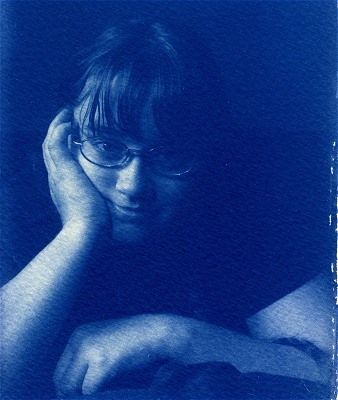 Inspired by David Chow's cyanotypes in an issue of Amateur Photographer, I decided to learn how to make cyanotypes on my own. My cyanotypes have been featured throughout the book Fetal Food - Preemie's Preequisite? Studies on human fetal and neonatal protein metabolism by Chris van den Akker (run of 600 copies); The FADU 2009, FADU 2010 and FADU 2011 shows in Wellingborough, Northamptonshire, UK and the books that accompanies the shows. I am based in the United Kingdom.